I came across this on my twitter feed a whole ago and thought it was pretty cool. 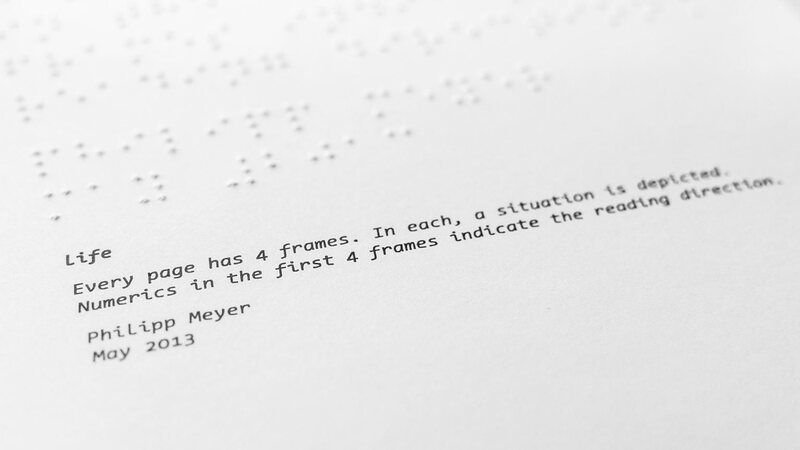 Phillip Meyer, an interaction designer, has designed a comic book in braille for the visually impaired. The narrative- a love story – appears fairly straightforward and Meyer points out that the story is not the focal point as much as the design itself. 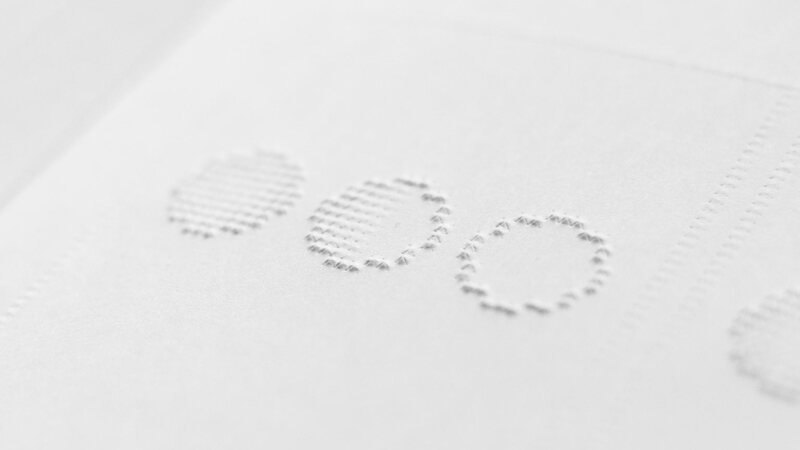 Essentially, he asked the question: Is it possible to create comics in Braille? And if so, what would these look like? Like a true designer, he sought out advice from his target audience to learn how readers experience Braille and decipher the possible syntax for Braille comics. The result: a project called ‘Life‘. On his site, he takes care to assert that the project is just an “experiment” and that it is not the only way to approach “sequential tactile storytelling”. Reading: Shall We Sing About The Starman, Ziggy? Comic: Gender Tapas from Groooonk! This work by Anisha Sridhar is licensed under a Creative Commons Attribution-NonCommercial-NoDerivs 3.0 Unported License.